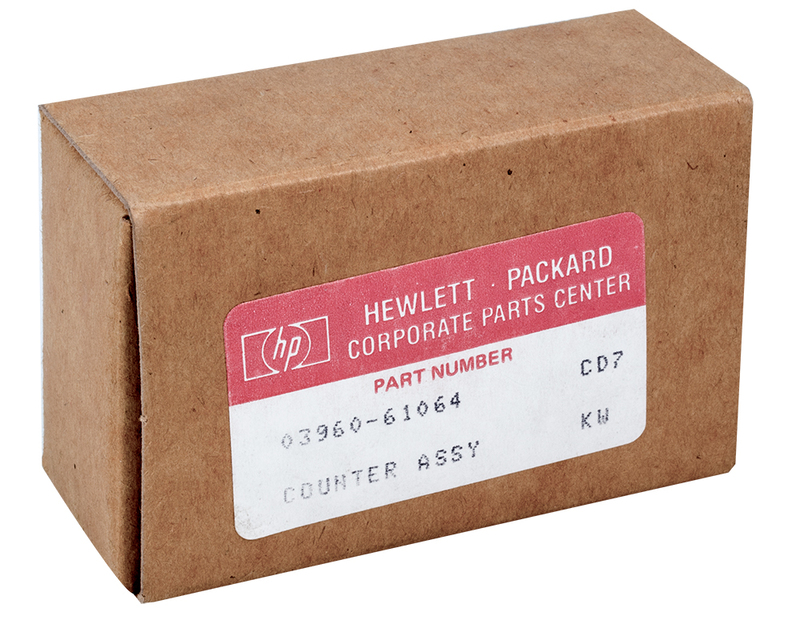 Hewlett Packard counter assembly with reset button. 4 digit. Driven by 0.658"D pulley. Mount grid, 0.717" x 0.632" on tapped holes in front plate. Made by ENM in England. Right angle turns counter. 3 digit counter. 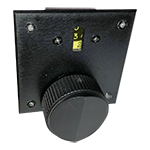 MS91528/4N2B knob. 1/4" shaft. Used, old. Removed from equipment. Looks like a 1st generation B&W cyclometer. 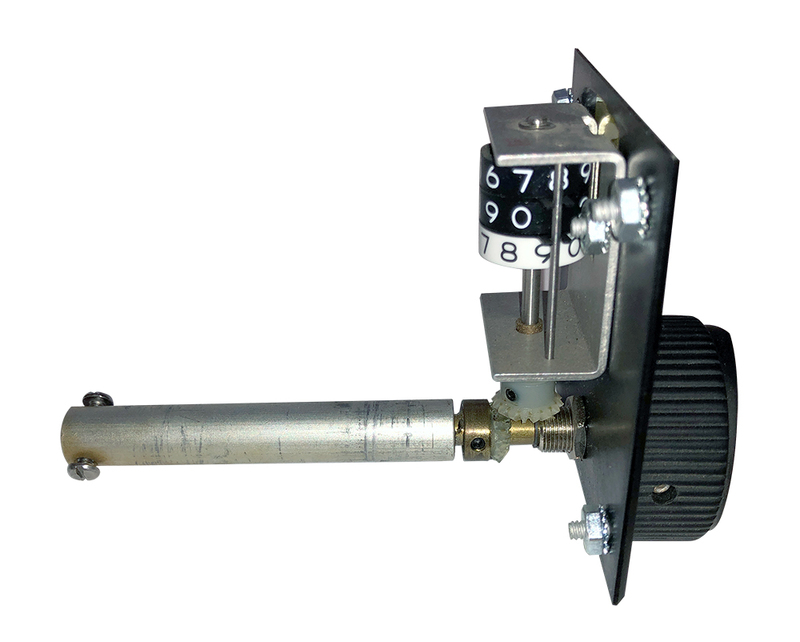 Finally, an affordable high quality turns counter suitable for many applications. 1/4" shaft coupling at rear. Counts to 9999.9 for precise control of variable inductors. Guaranteed satisfaction. Manufactured to our specification. Professional quality. 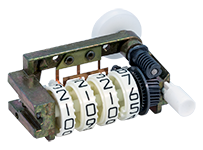 Mil-spec crank knob facilitates quick advance rotation or fine tuning fingertip control. Unit measures 2-1/4" x 3-1/2". Requires 1" x 3" hole in equipment for mechanics. Screws included. Don't be misled by cheap knock off copies of our counter selling for a lower price. Our counter will not skip turns such as the copycat is sure to do. In addition, lateral movement and slippage will not occur in our counter. As usual, you get what you pay for! Collins Radio ART-13 "Collins Autotune" 20 turn mechanical counter from 1954!! Frequency Tuning for WWII ART-13. Electrical end switches each end of travel. 3-3/4"W x 3"H x 3-1/2" deep behind. New in sealed boxes!! See enlarged images for the incredible craftsmanship. Antique turns counter. Requires 10-turn pot with 1/4" bushing. Accomodates 1/8" shaft. Circa 1950's. 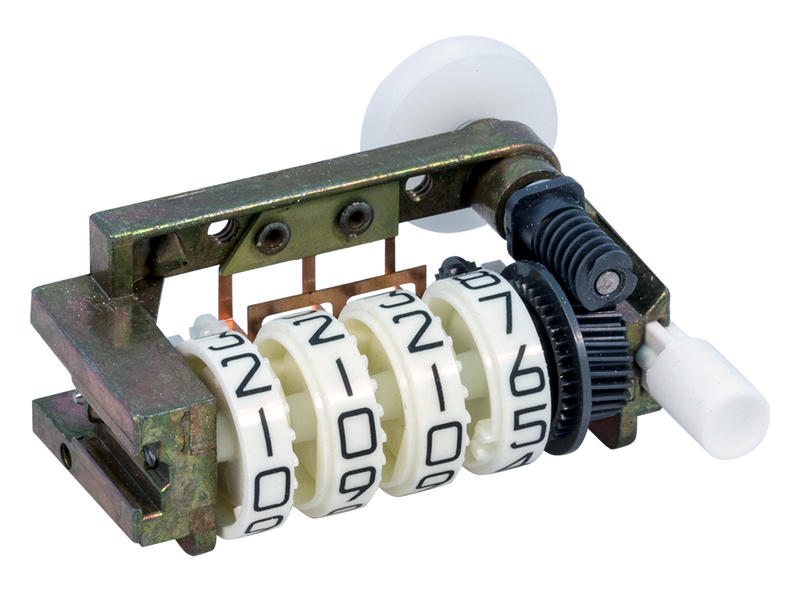 Beckman / Helipot Duo-dial "RB" series turns counting dial. 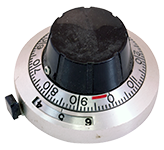 0 - 14, 0 - 90. for use with Model A or C Helipot precision potentiometer. Turns counter. Brass gears. 0 - 9999.9 counter. 3" x 3-1/2" face. 1/4" x 2-1/2" shaft behind, 1/4" x 1" front. New, old stock. 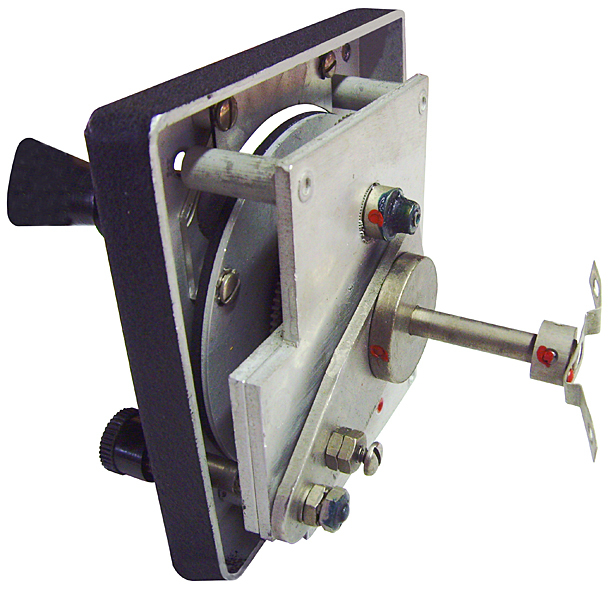 Add our crank, 1950's B&W Cyclometer. A Miracle!! Look What We Found!! 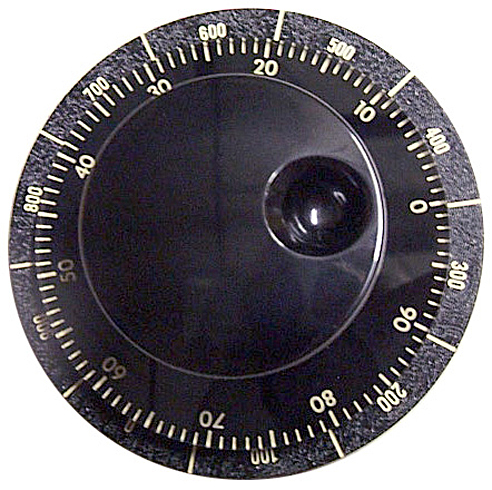 Beckman / Helipot turns counting dial. 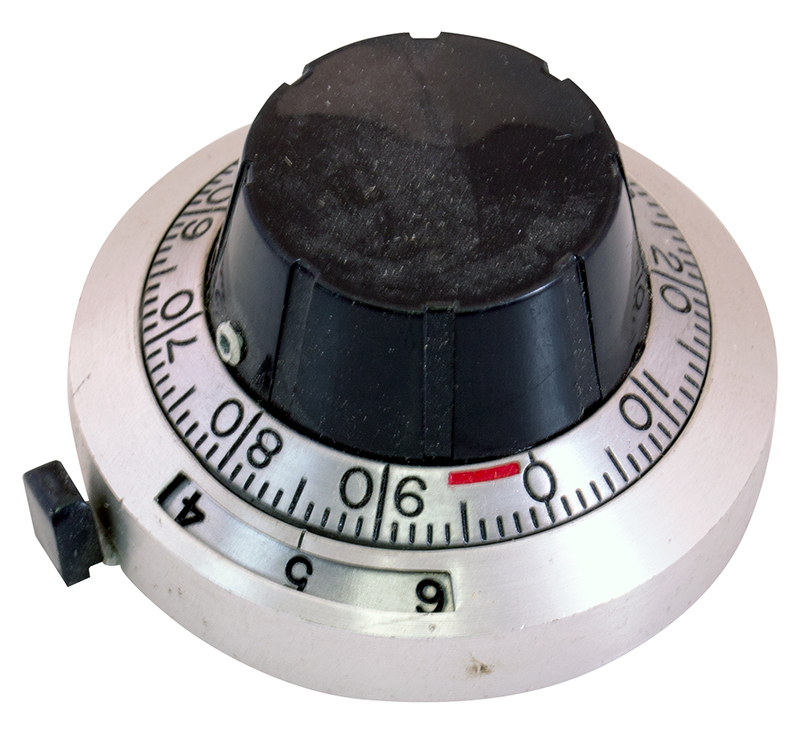 Graduated 4" dial numbered 0-900. Wrinkle finish. 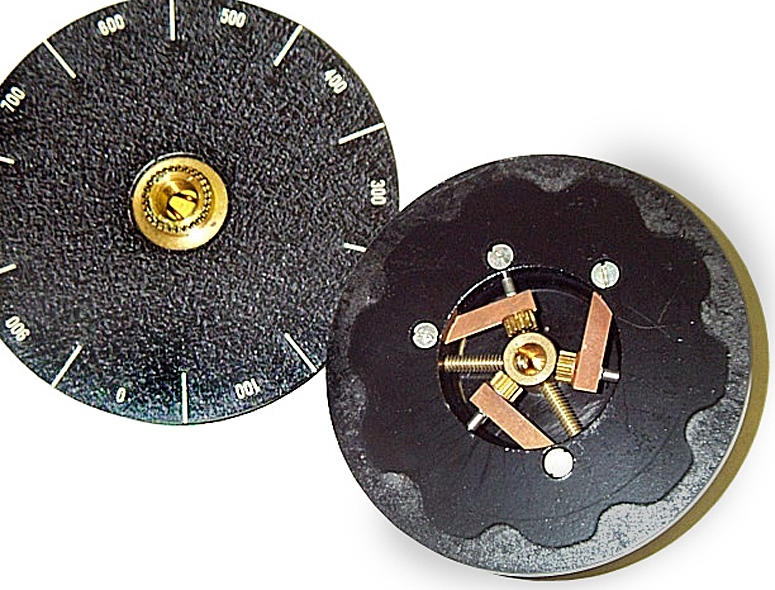 3-3/8" diameter inner dial, plastic with transparent edge for hash mark alignment. 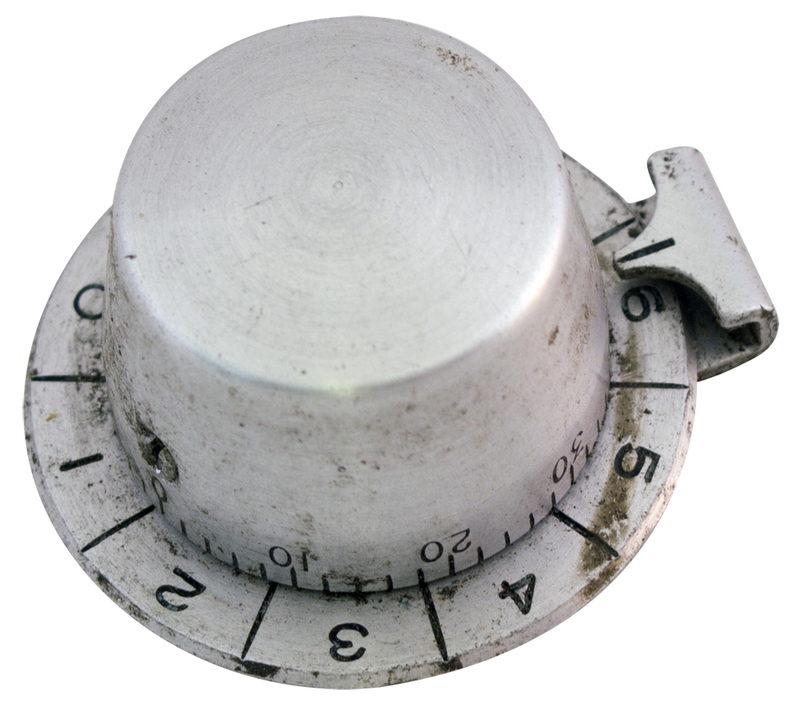 2-3/16" diameter inner knob with spinner finger hole. NSN: 5355-00-644-3956. BRAND NEW in boxes!! 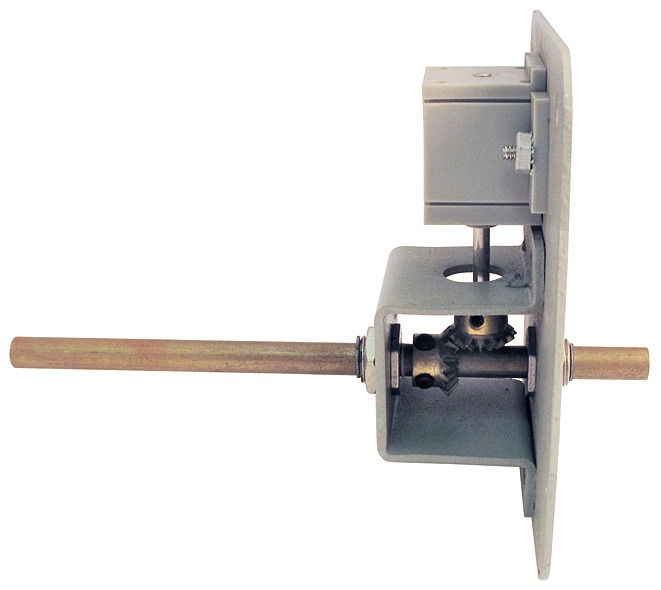 Mounting: 4" diameter threads onto 3/8" bushing from pot or capacitor. 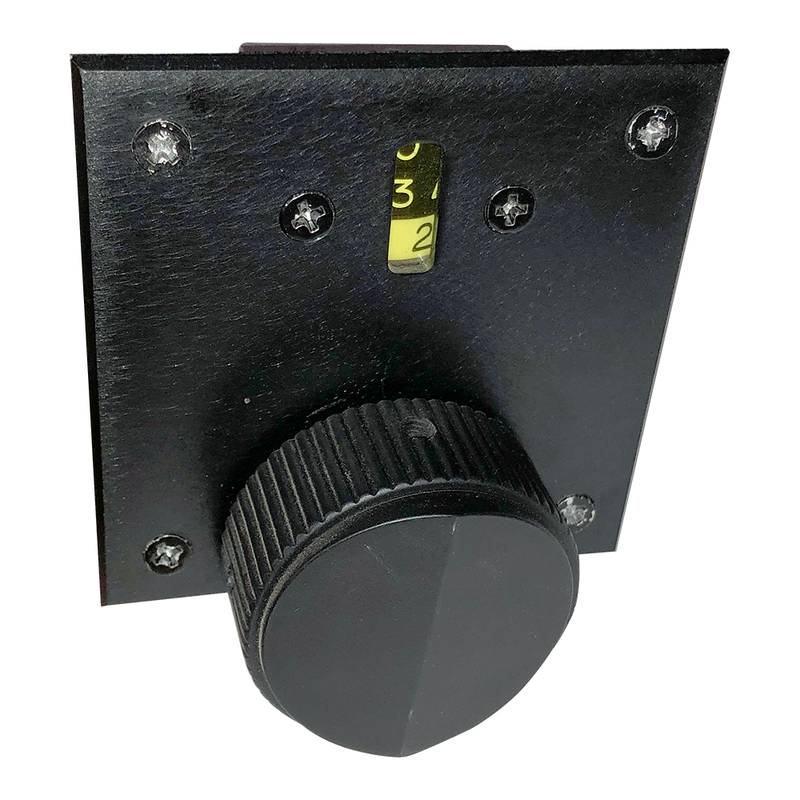 Slide dial / knob into place and secure set screws. 20 turn counter drive. 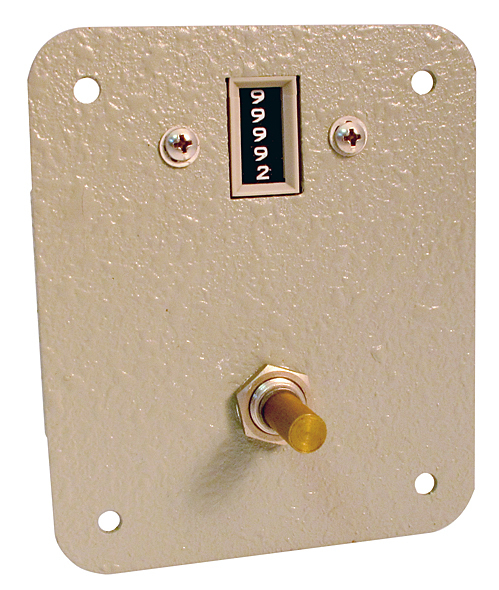 Dial graduated 3.5 - 18 MHz. Removed from 1950's receiver. 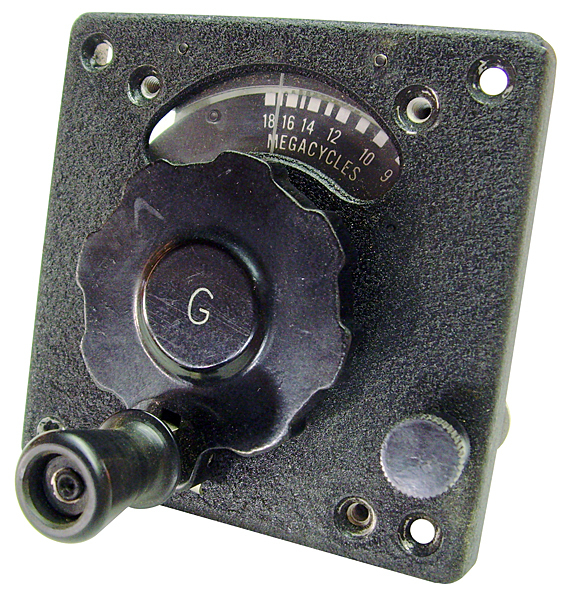 General Electric counting dial mounts behind front panel with three screws. 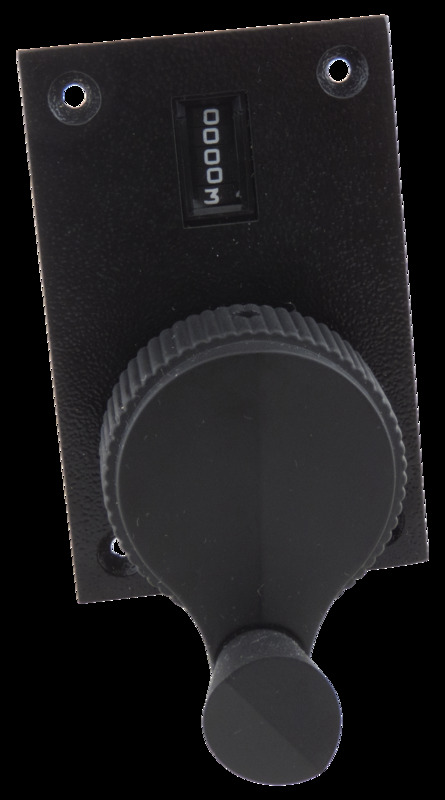 Cutouts for fine thumb adjustment, lock knob and '0-25' graduated 180 degree readout required. Front and rear views. Includes HV ceramic shaft coupling with1/4" shaft. Used / removed.